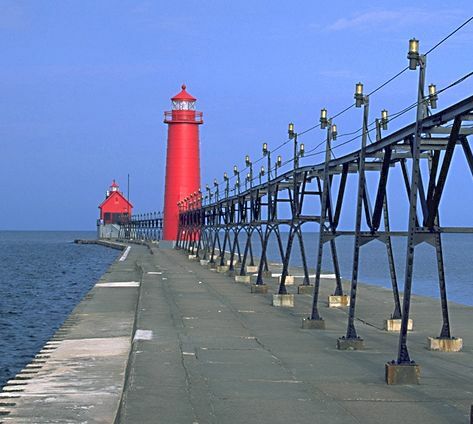 The road that meanders along the lakeshore between Holland and Grand Haven is a beauty. It's lined with shade trees, homes with wide lawns, and a great bike trail the entire way. 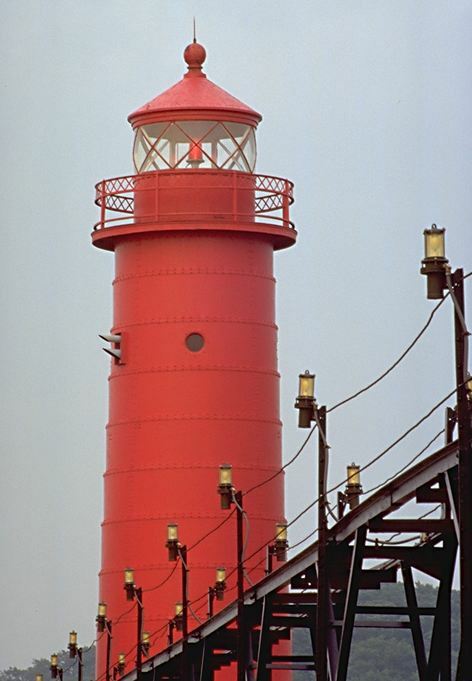 A lighthouse was first built at the mouth of the Grand River in 1839. The current inner tower dates from 1905, with the outer light added in 1922. The inner light shines a fixed red, and the outer light a flashing red. Both lights are painted red. 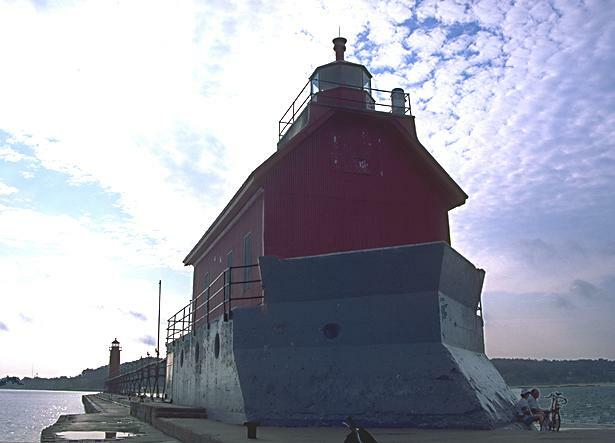 The outer light has an unusual face to the lake that looks like the bow of a boat--the better to plow through storm-driven waves. 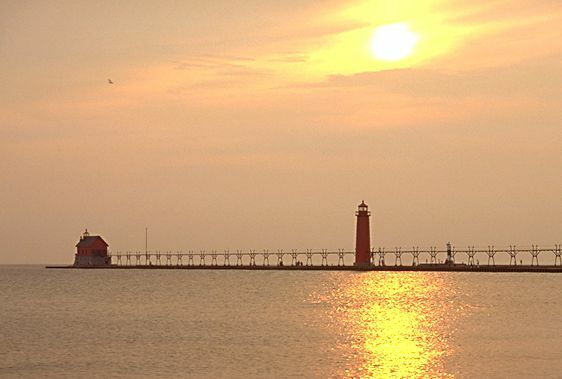 The pier is adjacent to a great beach and campground, with RV's packed tightly facing the sunset over the lights. The pier itself is a perfect spot for a stroll. 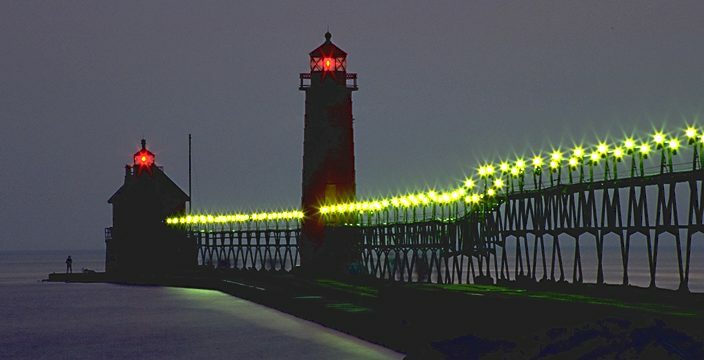 I also heard rumors about Grand Haven's famous musical fountain, but I spent most of my evening there taking night shots of the lights, and didn't see the fountain.